In 2009, Clowns Without Borders Spain and Clowns Without Borders USA did a project together in Haïti. 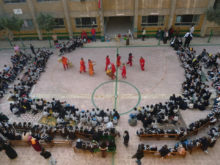 They did performances and workshops. They performed 23 shows in total for 9115 people. In 2009, Clowns Without Borders USA and Clowns Without Borders Sweden did a joint mission in India to perform 24 shows for 3425 people. 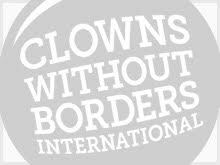 In 2009, Clowns Without Borders USA and Clowns Without Borders South Africa joined their forces to perform 10 shows for 3145 people. 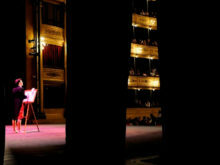 In 2009, Clowns Without Borders France went to Uruguay with 5 French artists and several Uruguayan artists, and gave 4 support shows for 3200 people. In 2009, Clowns Without Borders France went to Egypt and performed 12 shows for 3800 people. They also did some spotting. 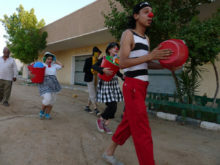 In 2009, Clowns Without Borders France went to Egypt with the help of the Air France and of the Anna Lindh Foundations. They performed 14 shows for 4500 people. 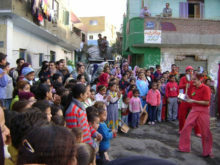 In 2009, Clowns Without Borders France went to Egypt with the help of the Samu Social International and the Air France Foundation. They performed 13 shows for 4000 people. 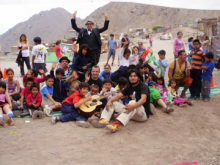 In 2009, Clowns Without Borders France went to Chile to relieve the suffering of the people affected by the 2007 earthquake. They performed 14 shows for 4000 people.